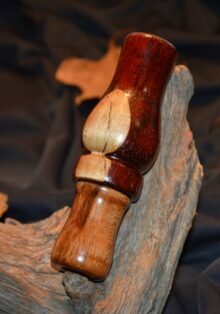 Double reed, Louisiana or Arkansas style duck calls. 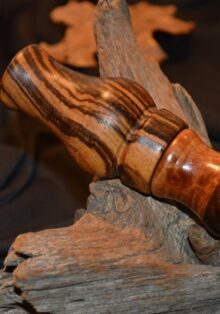 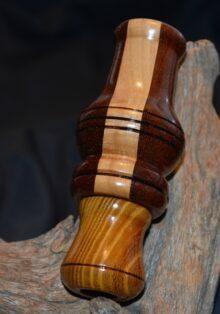 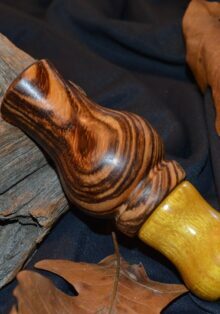 The Louisiana style are my best sellers and are great timber calls. 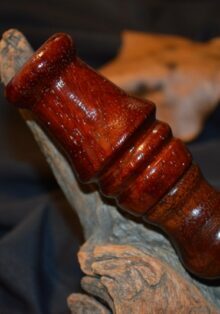 They consist of a proprietary, hand poured epoxy toneboard which renders mellow quacks. 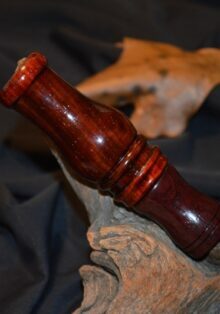 Great all-around hunting calls which have good ‘duck’ to them. 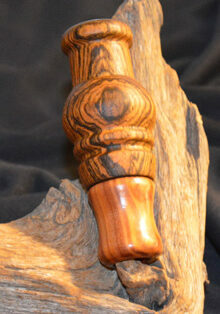 Bocote and Eastern Red Cedar duck call- Handcrafted in NC.